It’s not all unicorns, either, when it comes to startups, and the plant-based space is no different. The needle is moved forward not just by giants like Beyond Meat and Just, but by a thousand brands that come in with less fanfare and bake their piece of the vegan pie. MamaSezz is one of them – and judging by the number of times they actually popped up on my radar between this interview with the founders being recorded, and the actual release, I’d definitely say their piece is getting bigger. 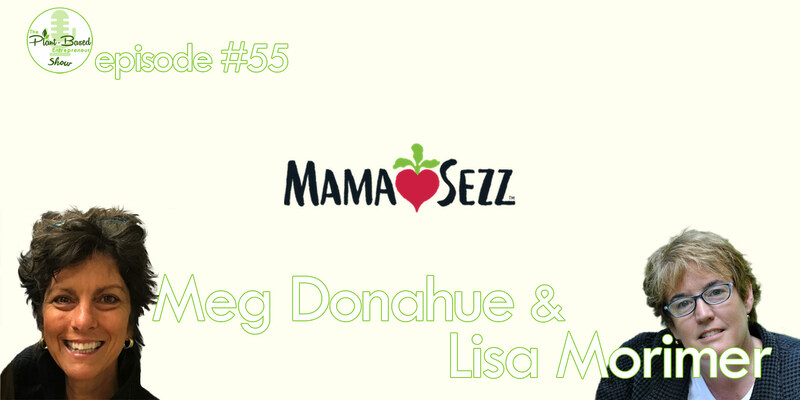 Both Lisa and Meg bring their own entrepreneurial background into this meal delivery service, which grew out of Meg’s mother’s amazing, brink-of-death recovery with home-cooked, plant-based meals. It’s probably no surprise that customer recovery stories keep coming in for them. Take notes on this one, though – apart from the feel-good element of a successful vegan brand on the rise, this talk goes deep into the details of crafting convincing – and healthy – meals, as well as growth and funding strategies for small business. And, of course, the things that get you out of bed each morning when you you run a values-driven brand. [02:29] Ground-breaking bread-making – Lisa’s background. [03:00] Managing property and spaces – Meg’s background. [03:37] Joint reflections on the shift from thinking of a healthy diet as organic food and lean meats. [05:00] The inspiration – Millie’s story. Meg’s mom was unwell and given just months to live at 80. Now 87, Millie’s still driving, traveling and learning how to play the ukulele! [07:12] Realizing the profound possibilities to help others through mimicking tasty hearty food. [09:52] How do you entice non-vegans to eat plant-based meals? [11:55] The evolution from making whole food plant-based meals for family and friends into a business. [15:36] Understanding taste profiles and the multiple benefits of using local folk and existing customers for testing. [19:36] The impact of the products and the amazing and emotional stories that come back in. [22:44] Covering meal deliveries in the US with a multi-talented team, and plans to expand. [24:15] Initial funding of a startup in terms of money, knowledge, and support – family and friends, working with your networks, and forming advisory groups. [26:32] There’s no room for dirty vegetables or equipment under USDA clean room protocol! [27:48] Seed funding and the time needed to become bankable. [28:56] The transferable skills between different foodie businesses and learning new skills. [30:37] Exciting plans to recycle ocean plastics for packaging! [32:33] The meal kit space, good and bad, and marketing approaches. [35:00] Is insurance cover for good healthy plant-based eating on the way? [36:42] Doing subscriptions on demand “because it matters”! [38:25] Good customer service involving time and care from a great team. 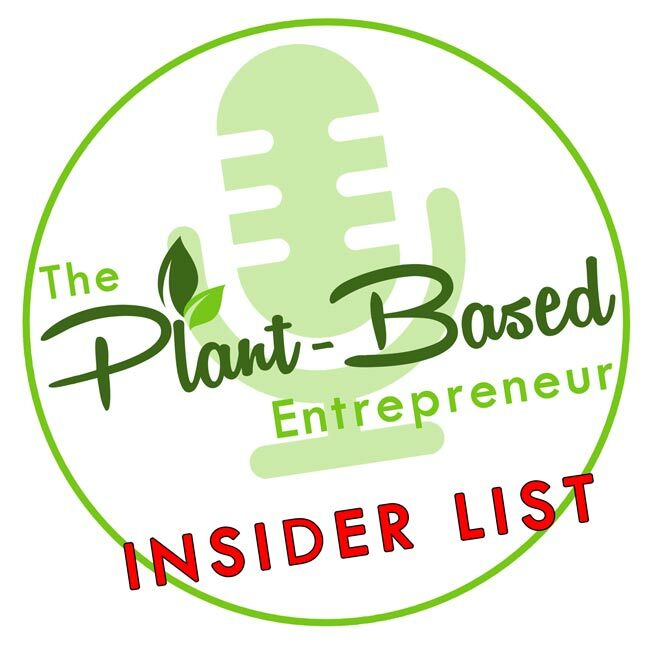 [39:34] The plant-based business space and improvements needed to move the needle and to it together. [42:03] Looking for partnerships for products and introducing plant-based to other markets. [42:55] The big goal, helping people avoid illnesses through beautiful delicious food. [44:15] Learning about what you don’t know and owning your numbers. [45:37] Being a part of an elegant solution for more energy for the future!